all sizes crosby g 2170 grommet shackles are quenched and tempered for maximum strength. all sizes crosby g 2170 grommet shackles are cast alloy steel. sizes 300 metric tons and smaller are proof tested to 2 times the working load limit. crosby g 2170 grommet shackles are furnished dimetcoted and pins are dimetcoted, thenpainted red. all sizes of crosby g 2170 grommet shackles are rfid equipped in bow and pindesigned for use with single or double large diameter grommets. extra large sling contact area improves efficiency of the grommet sling. crosby g 2170 grommet shackles utilize new bolt systemlarge machined flat on ears that can be drilled and tapped for adapting other accessories. 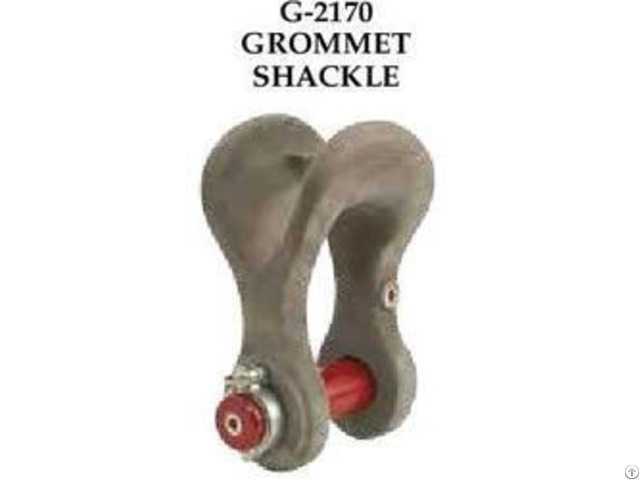 crosby g 2170 grommet shackles are provides a bearing surface that is at least 5 times that of a round shackle. increases usable sling strength minimum of 60% and greatly improves life of grommet slings. 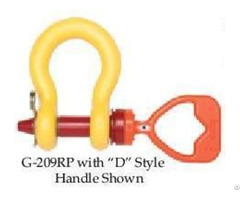 crosby g 2170 grommet shackle's bow and bolt are certified to meet charpy impact testing of 42 joules (31 ftlbs.)min.ave. at -20 degree c (-4 degree f). all crosby g 2170 grommet shackles are individually proof tested and magnetic particle inspected. 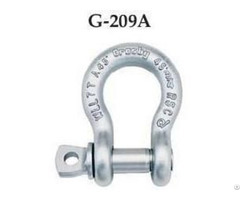 crosby g 2170 grommet shackles requiring abs, lloyds, and other certifications are available upon special request and must be specified at time of order. 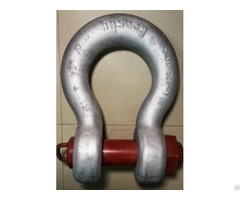 all crosby g 2170 grommet shackles can meet requirements of dnv standard for certification of lifting appliances upon special request and must be specified at time of order.